Consider the amount of work your vehicle’s tires put in on a day to day basis. Every commute or quick trip to the store puts them into motion, and you depend upon their success to stay moving and in line with what your schedule requires of you. Do you want to ensure this big picture of your vehicle’s long-term performance is firmly in tact with quality Honda tires and tire service? 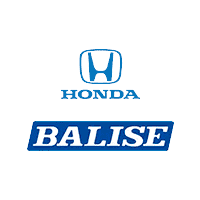 Balise Honda of West Warwick can help! Here at our tire center, our team of specialist’s number one goal is getting your vehicle the exact tires it needs and was designed for, utilizing our huge selection of tires in order to do so. While our gurus certainly are masterful in helping you pick out the right tires for your Honda model, we remind you to keep in mind that our major stock of tires applies to all makes and models. With our unbeatable tire prices and a range of additional benefits with your purchase of some new tires, you’ll feel amazing with the way the upgrades to your vehicle’s wheels look and feel! Wondering what else our tire center has to offer you? Read on to learn more! So what exactly can our tire service team here at Balise Honda of West Warwick offer as far as tire maintenance and service is concerned? A whole lot! Check out some of the basic services we provide below, with a description of what you can expect. New tire sales: From all-season and summer tires to snow tires, our team of experts can help you decide on the right set of tires for your vehicle and driving style. We offer a large selection to choose from and great low prices. Contact us for more info. Tire repair, rotation and pressure check: Any punctures, flats or leaks can be handled with the help of our team, with rotations to help your tire tread life and routine pressure checks to ensure your safety behind the wheel. Tire balancing, mounting and wheel alignment: Prevent wear on your tires and proper performance by having your tires balanced when necessary. To ensure your tires are functioning like they’re supposed to, our team can also handle wheel alignment and mounting services for you. Tire and snow tire installation: Installing new tires can be a hassle, especially when you’re in a hurry. Our specialists know how to get the job done efficiently and properly. Wintertime. Great for the holidays, not so pleasant for road conditions and stability while driving. If you’ve got concerns about how your vehicle will hold up on the roads as we begin to shift to the colder seasons, you probably aren’t alone. But Balise Honda of West Warwick is here for you every step of the way! We sell a wide variety of winter tires for your Honda, or whatever make or model it is you drive. Our team can handle everything directly for you, from helping to select the tires that are right for your vehicle to placing an order and installing them right here at our tire center! Winter tires are necessities for giving you proper tractions and handling on the roads this winter, designed with unique rubber compounds so you can grip the road underneath you better than before. So make sure you’re prepared for changes in the weather with the help of our tire specialists today! Winter tires are the perfect complement to all-wheel-drive vehicles, as they provide a major enhancement to traction delivered equally to your four wheels on a snowy surface. Four winter tires are our main suggestion, as utilizing just two or an uneven number severely impacts traction delivery, handling and stability on the winter roads. Vehicle traction control is ultimately great and important to have, but that doesn’t mean winter tires aren’t an important requirement for the holidays. Where can I find air pressure requirement information for my tires? In regards to tire pressure requirements, it’s always best to stick specifically with what the manufacturer, who designed your vehicle, suggests. This information can be sought out in your owner’s manual located inside of your vehicle. How do I determine the proper tire size for my new tires? Thankfully, there is a wealth of information for you to utilize when it comes to finding out the proper tire measurements best suited for your vehicle. Sorting your online research by your specific model will lead you there, with reviews and tire specs also available to get you the information that you need. How many winters tires are necessary? For the best roadside results in the winter, make sure all four of your tires are of the winter variety. Balance, traction and handling all can be impacted by an improper, uneven relationship between your tires, and a full set is necessary to stay in control when the cold comes in. Do ABS brakes in my vehicle mean winter tires aren’t required? You still need to invest in winter tires before the snow comes, as this braking system still doesn’t completely ensure an even distribution of traction and complete control of your vehicle. Studless or studded tires. What’s the deal? Studded snow tires are great for gaining traction on icy surfaces that are slick and potentially dangerous, with metal studs built in to help you grip the road better. Studless snow tires also know how to get the job done, with advanced rubbed compounds and tread patterns securing your path ahead. Should I keep my winter tires on even when the winter ends? While winter tires are highly effective in-season, they lose their appeal once the warm weather rolls in. This is due to the compounds that they are made of, which wear much quicker in a warmer climate. We would love to get you properly fitted with tires appropriate of the season, and can quickly get your winter tires off of your vehicle and squared away.